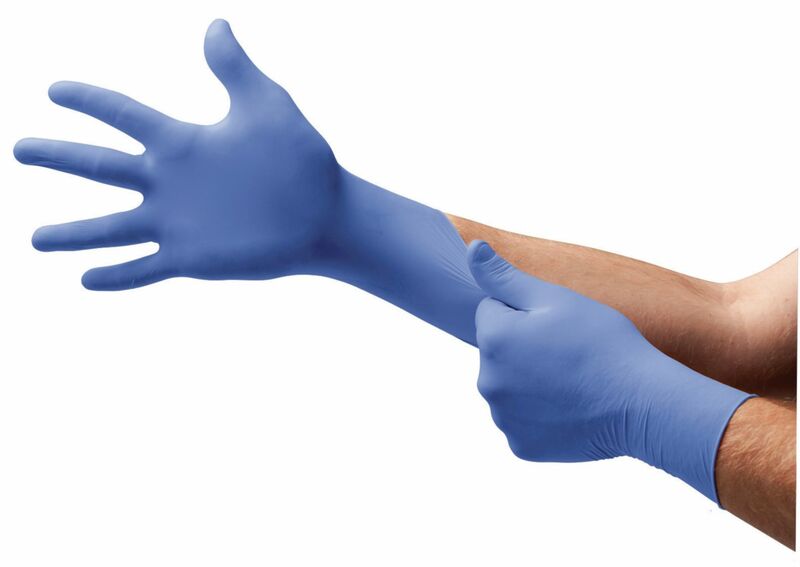 These disposable nitrile gloves provide chemical and liquid protection. The most advanced glove in type I and IV allergy prevention, the Microflex 93-823 has been clinically proven to decrease redness and itchiness associated with contact dermatitis. Engineered without the use of chemical additives (including accelerators) that are known skin irritants, the 93-823 is safe for those with sensitive skin or prone to allergic reactions. Ideal for use in analytical testing/measurements, assembly and inspection, biotechnologies, cleaning, janitorial and maintenance work, laboratory analysis, pharmaceutical production and light duty assembly.